There are three things I know for: my love of Pete Wentz (and Fall Out Boy), all things aqua, and all the margaritas! 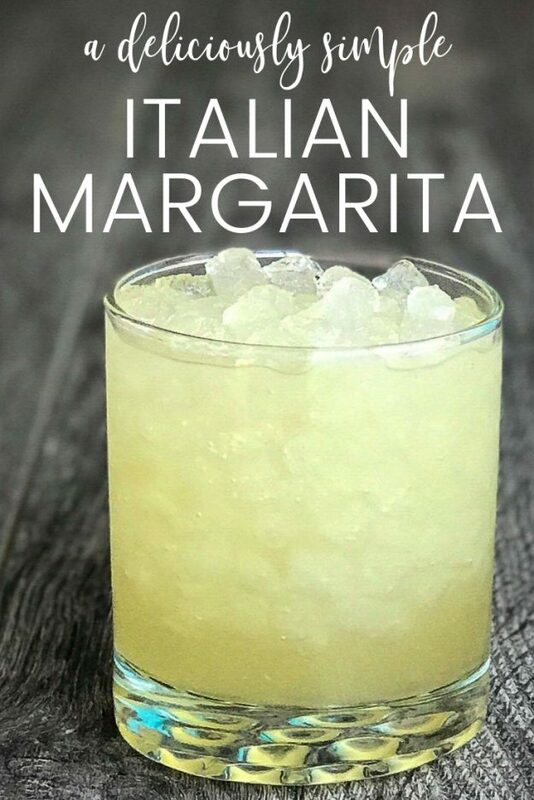 The Italian margarita came to be when I was craving the same drink I had once been served at a restaurant but didn’t feel like taking the 90-minute drive to get one. So what is a margarita girl to do in a predicament like that, come up with her own! 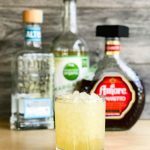 After a trip to the store and playing the bartender in my kitchen, I finally found the perfect recipe for the best Italian margarita. *to make a frozen margarita add the mixture and ice to a blender. Blend and pour into your glass. Margaritas are a juice-based formula and should always be refrigerated for health-based reasons. If you don’t refrigerate your Italian margarita it will eventually ferment and then you will have Italian margarita beer. lol. Because it looks like an upside-down sombrero!! Just kidding. Truthfully, I don’t know but one of the most popular legends is that it came from a restaurant in Los Angeles. After ordering new champagne glasses, these oddly shaped glasses arrived instead. Legend says that one of the bartenders suggested using it for margaritas because it looked larger and would then probably fetch a higher price. Pour ingredients into a glass of ice and mix. Add ingredients to the blender and blend until ice is smooth. Do you make the Margarita mix or buy something at the grocery store?